If you ever used shipping service, then you know there are some rules you must respect. And if you are not doing so, you are risking high penalties, and even more drastic measures. Therefore, it is important to be familiar with these regulations. And one is directly explaining terms and conditions for shipping dangerous goods. But, which goods are dangerous? Is that something that can endanger people or the environment? Or maybe both? The truth is that this definition depends on many factors. For instance, it is different if you are using an airplane, train, or a boat. As you may know, there are many hazardous materials forbidden on airplanes, but some of them are totally fine for train transportation. Either way, there are some general rules for shipping dangerous goods, and that is what we are going to speak about here. 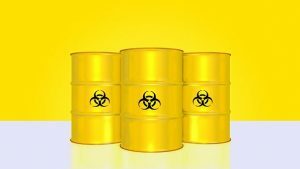 How to know if you are shipping dangerous goods? So, if your shipment has any of such items, you are for sure about to engage in shipping dangerous goods. Important to realize is that you must consult with the courier company and ask them to tell you the necessary steps. Additionally, you will need to learn about other cargo security tips and implement them as well. One of the most important tasks you will have when you are getting ready for shipping dangerous goods is research. Thorough and detailed one. And there are few tips that are going to make you that job easier. First, you will need a fair amount of time for such a thing. Therefore, make sure you have enough time in your schedule for this. Additionally, you will need a lot of focus and devotion as well, so it will not be smart if you do this occasionally. Next, you need to write down everything you learn. Keep in mind that there are going to be a lot of important pieces of information, and if you forget even the smallest part, you could face big problems. That is why it is smart to have noted that you will go through later in order to make sure you did not forget anything. Even though a lot of things can be found on the Internet, this shouldn’t be your only source of information. Moreover, information on the web is not always up to date, hence you will need to double check everything. A good thing to do is to contact professional sea freight forwarders, or any other similar company and ask them for advice. as they are in this job, they will certainly have information that is relevant and up to date. Finally, make the list of items you are going to ship and check if any of those contain anything from the list above. Sometimes, the item itself could have dangerous materials only in traces, and it is automatically considered to be dangerous. So, in order to be sure you are complying with rules and regulations, check all ingredients of items that you are shipping. One other important thing you need to cover is the packing of dangerous goods. You can’t simply put in a cardboard box such items. Especially liquid or flammable ones. Therefore, you need to understand that this part probably the most important one. The first thing you need to know about this topic is that there are special packing supplies for dangerous items. Even though there are some rules for packing such as to get rid of perishables when moving, or to use original packing for fragile and valuable items, these are not really applicable to this situation. 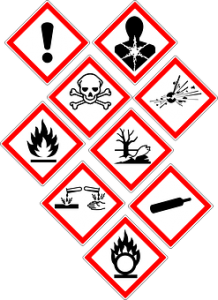 The general rule for packing dangerous goods is that shouldn’t be in contact with other items. They need to be in a secure packing that is sealed. It would be best to seek a professional packing company and ask them for advice. Or, even better, to let them handle this part. Do not forget to label these goods with appropriate signs. These labels are very important, especially if the shipment will go through the customs clearance. Paperwork is something you need to think about as well. Especially if you are shipping these goods internationally. Inventory list, declarations, permits, and insurance policy is something you must have near you all the time. As you can see, you need to be really informed and know exact rules for shipping dangerous goods. And it doesn’t matter if which type of transportation you are going to use, you simply need to emphasize to the shipping service providers that they are going to handle dangerous items. 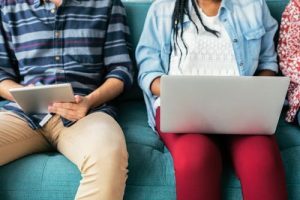 Keep in mind that failing to do so, you are risking rigorous penalties, and that is something you can’t allow. When you are about to ship such items, you have a great responsibility, and that is something you need to be aware of all the time. And if you are doing this from Japan, make sure to consult a Japan logistics company and get relevant information. That is the best and safest way to know what you need to do. And how to treat your shipment. Therefore, be smart, make a thorough research, and never break rules.